A team of Italian and American researchers, including the University of Florida’s Ira Longini, Ph.D., has received the Aspen Institute Italia Award for scientific research and collaboration between Italy and the United States. The team was honored at a ceremony held Oct. 26 at the institute’s Rome headquarters. The Aspen Institute Italia Award recognizes significant research contributions in the field of natural, theoretical or applied sciences produced jointly by scientists from Italy and the U.S. The award includes a prize of 40,000 euros to be shared among the researchers’ institutions. The research team was recognized for creating a computational model of the spread of the Ebola virus during the Liberian epidemic in 2014-15, based on the concentration and movement of individuals, including those not infected with the virus. Their findings, published in January 2015 in The Lancet Infectious Diseases, also highlighted the importance of various interventions employed by health authorities to combat the epidemic, such as the opening of dedicated health centers for patients with Ebola. 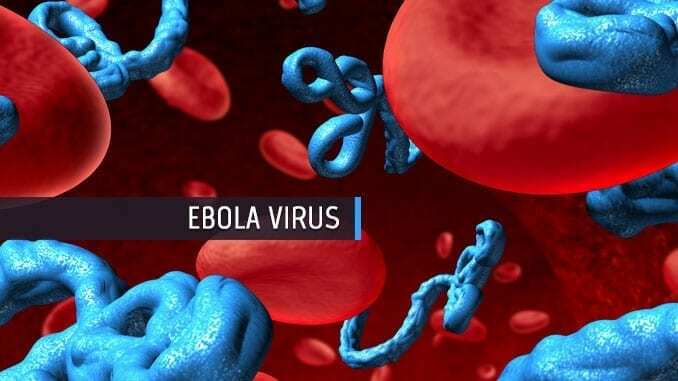 The group’s mathematical work improved understanding of the Ebola virus’ spread and how best to focus control efforts, said Longini, a professor in the department of biostatistics in the UF College of Public Health and Health Professions and the College of Medicine. The team is composed of 10 researchers representing two Italian and three American institutions. In addition to Longini, they include Stefano Merler, M.S., Marco Ajelli, Ph.D., and Laura Fumanelli, Ph.D., of the Bruno Kessler Foundation in Trento, Italy; Luca Rossi, Ph.D., of the Institute for Scientific Interchange in Turin, Italy; Alessandro Vespignani, Ph.D., Marcelo F.C. Gomes, Ph.D., and Ana Pastore y Piontti, Ph.D., of Northeastern University in Boston; and M. Elizabeth Halloran, D.Sc., and Dennis L. Chao, Ph.D., of the Fred Hutchinson Cancer Research Center in Seattle. The team has worked together for several years as members of the Center for Inference and Dynamics of Infectious Diseases, a center of excellence of the National Institute of General Medical Sciences-funded Models of Infectious Disease Agent Study, or MIDAS Network. The team has collaborated on a number of other studies on Ebola as well as on influenza viruses, cholera, dengue and Zika.